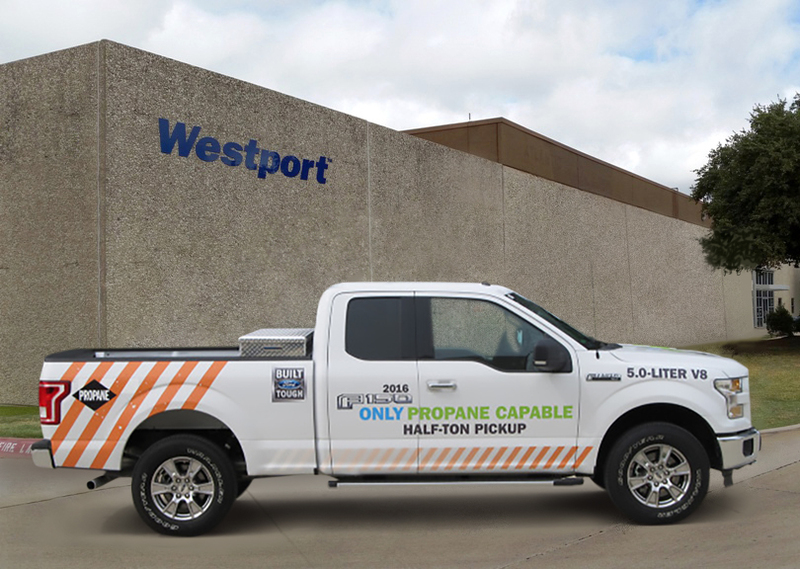 Supporting Westport’s introduction of the F-150 propane truck this summer, we’re announcing our agreement with CleanFUEL USA®, an industry leader in propane autogas technology, to serve as a supplier for the Westport WiNG™ 2016 Ford 5.0L F-150. The Westport WiNG™ Power System will employ the CleanFUEL USA Liquid Propane Injection (LPI®) technology. Westport's F-150 with propane (also known as LPG) offers Ford QCM/QVM warranty protection with expected EPA and CARB certifications. The F-150 includes Ford’s new propane gaseous-prep package, now available on model year 2016 vehicles. The truck is equipped with a 5.0 liter engine and new body with high-strength, military-grade aluminum alloy, reducing the weight of the truck by as much as 700 lbs. The fuel packages include a standard 23-gallon underbody tank, an extended 39-gallon underbody tank, or an in-bed 60-gallon tank. Westport is a Ford QVM, so the Westport F-150 propane certified truck with the Westport WiNG™ Power System is supported by the Ford OEM warranty, and is now available to order. If you’re going to the Greenbuild International Conference and Expo November 18-19, 2015, in Washington, D.C., come and check out the LPI F-150 with the Westport WiNG™ Power System in the Propane Education and Research Council’s booth #3413. For more information about Westport’s alternative fuel options for the MY2016 Ford F-150, visit the Westport website.